The historic agreement on Bru repatriation was signed on Tuesday in New Delhi. The agreement paves the way for repatriation of displaced Bru migrants in Tripura to Mizoram. It is almost after 22 years that the Bru refugees would be repatriated to Mizoram before September 30 this year. All temporary camps in North Tripura would be closed in the first week of October this year. Each family will be given one-time financial assistance of Rs 4 lakh for rehabilitation. The amount will be kept in fixed deposit in the name of the head of the family within one month of repatriation. The money will be kept in fixed deposit for two years and will be given to the family after living continuously for three years in Mizoram. Each family will be given Rs 5,000 per month as cash assistance for a period of two years through DBT. House building assistance of Rs 1.5 lakh in three installments will be given to each of the families. The other rehabilitation packages include free ration for two years and free transportation. 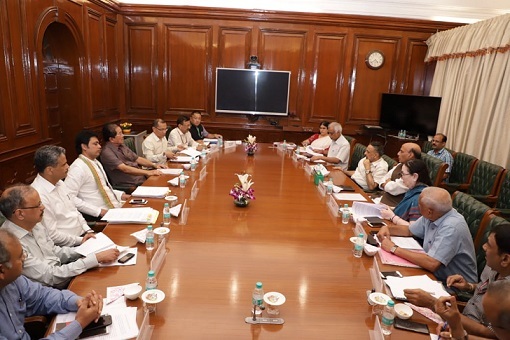 The agreement was signed by chief secretary of Tripura, principal home secretary Mizoram, special secretary (IS) of MHA and president of Mizoram Bru Displaced People’s Forum in presence of union home minister Rajnath Singh, Tripura chief minister Biplab Kumar Deb and Mizoram chief minister Lal Thanhawla.